For lower house, see Lok Sabha. For current list of Rajya Sabha members, see List of current members of the Rajya Sabha. An upper house is one of two chambers of a bicameral legislature, the other chamber being the lower house. The house formally designated as the upper house is usually smaller and often has more restricted power than the lower house. Examples of upper houses in countries include the Australian Senate, Brazil's Senado Federal, the Canadian Senate, France's Sénat, Germany's Bundesrat, India's Rajya Sabha, Ireland's Seanad, Malaysia's Dewan Negara, the Netherlands' Eerste Kamer, Pakistan's Senate of Pakistan, Russia's Federation Council, Switzerland's Council of States, United Kingdom's House of Lords and the United States Senate. The Parliament of India is the supreme legislative body of the Republic of India. It is a bicameral legislature composed of the President of India and the two houses: the Rajya Sabha and the Lok Sabha. The President in his role as head of legislature has full powers to summon and prorogue either house of Parliament or to dissolve Lok Sabha. The president can exercise these powers only upon the advice of the Prime Minister and his Union Council of Ministers. The Constitution of India is the supreme law of India. The document lays down the framework demarcating fundamental political code, structure, procedures, powers, and duties of government institutions and sets out fundamental rights, directive principles, and the duties of citizens. It is the longest written constitution of any country on earth. B. R. Ambedkar, chairman of the drafting committee, is widely considered to be its chief architect. The Rajya Sabha meets in continuous sessions, and unlike the Lok Sabha, the lower house of Parliament, is not subject to dissolution. However, the Rajya Sabha, like the Lok Sabha can be prorogued by the President. The Rajya Sabha has equal footing in all areas of legislation with the Lok Sabha, except in the area of supply, where the Lok Sabha has overriding powers. In the case of conflicting legislation, a joint sitting of the two houses can be held. However, since the Lok Sabha has twice as many members as the Rajya Sabha, the former would normally hold the greater power. Joint sittings of the Houses of Parliament of India are rare, and in the history of the Republic, only three such joint-sessions have been held; the latest one for the passage of the 2002 Prevention of Terrorism Act. A legislative session is the period of time in which a legislature, in both parliamentary and presidential systems, is convened for purpose of lawmaking, usually being one of two or more smaller divisions of the entire time between two elections. In each country the procedures for opening, ending, and in between sessions differs slightly. A session may last for the full term of the legislature or the term may consist of a number of sessions. These may be of fixed duration, such as a year, or may be used as a parliamentary procedural device. A session of the legislature is brought to an end by an official act of prorogation. In either event, the effect of prorogation is generally the clearing of all outstanding matters before the legislature. Loss of supply occurs where a government in a parliamentary democracy using the Westminster System or a system derived from it is denied a supply of treasury or exchequer funds, by whichever house or houses of parliament or head of state is constitutionally entitled to grant and deny supply. A defeat on a budgetary vote is one such way by which supply can be denied. Loss of supply is typically interpreted as indicating a loss of confidence in the government. Not all "money bills" are necessarily supply bills. For instance, in Australia, supply bills are defined as "bills which are required by the Government to carry on its day-to-day business". The Vice President of India (currently, Venkaiah Naidu) is the ex-officio Chairman of the Rajya Sabha, who presides over its sessions. The Deputy Chairman, who is elected from amongst the house's members, takes care of the day-to-day matters of the house in the absence of the Chairman. The Rajya Sabha held its first sitting on 13 May 1952. The salary and other benefits for a member of Rajya Sabha are same as for a member of Lok Sabha. The Vice President of India is the second-highest constitutional office in India after the President. Article 63 of Indian Constitution states that "There shall be a Vice President of India." The Vice President acts as President in the absence of the president due to death, resignation, impeachment, or other situations. Shri Muppavarapu Venkaiah Naidu is an Indian politician and the current Vice President of India and the Chairman of the Rajya Sabha, in office since 11 August 2017. Previously, he served as the Minister of Housing and Urban Poverty Alleviation, Urban Development and Information and Broadcasting in the Modi Cabinet. A prominent leader of the Bharatiya Janata Party, he also served as its national president from 2002 to 2004. Earlier, he was the Union Cabinet Minister for Rural Development in the Atal Bihari Vajpayee government. He took the oath as Vice-President of India and the Chairman of Rajya Sabha on 11 August 2017. The Deputy Chairman of the Rajya Sabha presides over the proceedings of the Rajya Sabha in the absence of the Chairman of the Rajya Sabha. The Deputy Chairman is elected internally by the Rajya Sabha. There is no national language in India. The Constitution of India designates 22 official languages for the Government of India and as Hindi written in the Devanagari script, as well as English as the official languages of the Union. Hindi or English is used in official purposes such as parliamentary proceedings, judiciary, communications between the Central Government and a State Government. States within India have the liberty and powers to specify their own official language(s) through legislation and therefore there are 22 officially recognized languages in India of which Hindi is the most used. The number of native Hindi speakers is about 25% of the total Indian population; however, including dialects of Hindi termed as Hindi languages, the total is around 44% of Indians, mostly accounted from the states falling under the Hindi belt. 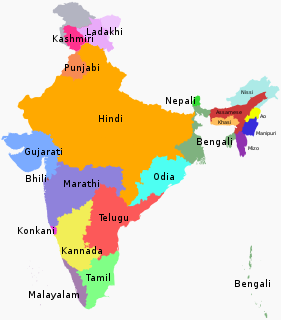 Other Indian languages are each spoken by around 10% or less of the population. Be a citizen of India. Make and subscribe before some person authorized in that behalf by the Election Commission an oath or affirmation according to the form set out for the purpose in the Third Schedule to the Constitution. Not be a proclaimed criminal. Not be a subject of insolvent, i.e. he/she should not be in debt that he/she is not capable of repaying in a current manner and should have the ability to meet his/her financial expenses. Not hold any other office of profit under the Government of India. Possess such other qualifications as may be prescribed in that behalf by or under any law made by Parliament. In addition, twelve members are nominated by the President of India having special knowledge in various areas like arts and science. However, they are not entitled to vote in Presidential elections as per Article 55 of the Constitution. The Constitution of India places some restrictions on the Rajya Sabha which makes the Lok Sabha more powerful in certain areas. Article 108 provides for a joint sitting of the two Houses of Parliament in certain cases. A joint sitting can be convened by the President of India when one house has either rejected a bill passed by the other house, has not taken any action on a bill transmitted to it by the other house for six months, or has disagreed to the amendments proposed by the Lok Sabha on a bill passed by it. Considering that the numerical strength of Lok Sabha is more than twice that of Rajya Sabha, Lok Sabha tends to have a greater influence in a joint sitting of Parliament. A joint session is chaired by the Speaker of Lok Sabha. Also, because the joint session is convened by the President on advice of the government, which already has a majority in Lok Sabha, the joint session is usually convened to get bills passed through a Rajya Sabha in which the government has a minority. Unlike the Lok Sabha, a member of the Rajya Sabha cannot bring to the house a no-confidence motion against the government. In the Indian federal structure, the Rajya Sabha is a representative of the States in the Union legislature (hence the name, Council of States). For this reason, the Rajya Sabha is granted powers that protect the rights of States against the Union. The Constitution empowers the Parliament of India to make laws on the matters reserved for States. However, this can only be done if the Rajya Sabha first passes a resolution by a two-thirds supermajority granting such a power to the Union Parliament. The union government cannot make a law on a matter reserved for states without any authorisation from Rajya Sabha. The Rajya Sabha, by a two-thirds supermajority can pass a resolution empowering the Government of India to create more All-India Services common to both Union and States, including a judicial service. As per the Fourth Schedule to the Constitution of India on 26 January 1950, the Rajya Sabha was to consist of 216 members of which 12 members were to be nominated by the President and the remaining 204 elected to represent the States. The present strength, however, is 245 members of whom 233 are representatives of the states and union territories and 12 are nominated by the President. The 12 nominated members of the Rajya Sabha are persons who are eminent in particular fields, and are well known contributors in the particular field. Besides the Chairman (Vice-President of India) and the Deputy Chairman, there is also a position called Leader of the House. This is a cabinet minister – the Prime Minister if he is a member of the House, or another nominated Minister. The Leader has a seat next to the Chairman, in the front row. Besides the Leader of the House, who is leading the majority, there is also a Leader of the Opposition (LOP) – leading the opposition parties. The function was only recognized in the Salary and Allowances of Leaders of the Opposition in Parliament Act, 1977. This is commonly the leader of the largest non-government party, and is recognized as such by the Chairman. The Secretariat of Rajya Sabha was set up pursuant to the provisions contained in Article 98 of the Constitution. The said Article, which provides for a separate secretarial staff for each House of Parliament, reads as follows:- 98. Secretariat of Parliament – Each House of Parliament shall have a separate secretarial staff: Provided that nothing in this clause shall be construed as preventing the creation of posts common to both Houses of Parliament. (2) Parliament may by law regulate the recruitment and the conditions of service of persons appointed to the secretarial staff of either House of Parliament. (i) providing secretarial assistance and support to the effective functioning of the Council of States (Rajya Sabha) possible to Members of Rajya Sabha; (iv) servicing the various Parliamentary Committees; (v) preparing research and reference material and bringing out various publications; (vi) recruitment of manpower in the Sabha Secretariat and attending to personnel matters; and (vii) preparing and publishing a record of the day-to-day proceedings of the Rajya Sabha and bringing out such other publications, as may be required concerning the functioning of the Rajya Sabha and its Committees. The Leader of the Opposition is the politician who leads the official opposition in either House of the Parliament of India. India is a federation with a parliamentary system governed under the Constitution of India, which defines the power distribution between the union, or central, government and the states. The Speaker of the Lok Sabha is the presiding officer of the Lok Sabha, the lower house of the Parliament of India. The speaker is elected generally in the very first meeting of the Lok Sabha following general elections. Serving for a term of five years, the speaker chosen from sitting members of the Lok Sabha, and is by convention a member of the ruling party or alliance. A Member of Legislative Assembly (MLA) is a representative elected by the voters of an electoral district (constituency) to the legislature of the State government in the Indian system of government. From each constituency, the people elect one representative who then becomes a member of the Legislative Assembly (MLA). Each state has between seven and nine MLAs for every Member of Parliament (MP) that it has in the Lok Sabha, the lower house of India's bicameral parliament. There are also members in two unicameral legislatures in Union Territories: the Delhi Legislative Assembly and Puducherry Legislative Assembly. 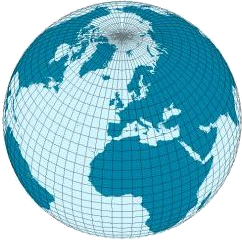 In the Westminster system, a money bill or supply bill is a bill that solely concerns taxation or government spending, as opposed to changes in public law. India is a democracy having a Federal structure of government. Laws are made separately at different levels, by the Union Government/Federal Government for the whole country and by the State Governments for their respective states as well as by local municipal councils at district level. The Legislative procedure in India for the Union Government requires that proposed bills pass through the two legislative houses of the Parliament of India, i.e. the Lok Sabha and the Rajya Sabha. The legislative procedure for states with bicameral legislatures requires that proposed bills be passed, at least in the state's Lower House or the Vidhan Sabha and not mandatory to be passed in the Upper House or the Vidhan Parishad. For states with unicameral legislatures, laws and bills need to be passed only in the state's Vidhan Sabha, for they don't have a Vidhan Parishad. A joint session or joint convention is, most broadly, when two normally separate decision-making groups meet together, often in a special session or other extraordinary meeting, for a specific purpose. The Ministry of Parliamentary Affairs is an Indian government ministry. The Eleventh Amendment of the Constitution of India, officially known as The Constitution Act, 1961, provided that the Vice-President shall be elected by the members of an electoral college consisting of the members of both Houses of Parliament, thereby dispensing with the earlier requirement of a joint meeting of members of both Houses of Parliament assembled for the said purpose. The 11th Amendment inserted a new clause (4) in article 71 of the Constitution to clarify that the election of President or Vice-President cannot be challenged on the ground of the existence of any vacancy for whatever reason in the appropriate electoral college. The Fourteenth Amendment of the Constitution of India, officially known as The Constitution Act, 1962, incorporated Pondicherry as the ninth Union territory of India, and also gave Parliament the authority to create by law, Legislatures and Councils of Ministers for the Union territories of Himachal Pradesh, Manipur, Tripura, Goa, Daman and Diu and Puducherry. The Forty-first Amendment of the Constitution of India, officially known as The Constitution Act, 1976, raised the age of retirement of the Chairman and members of the State Public Service Commissions from 60 to 62 years, by amending article 316(2) of the Constitution. The Parliament of India is bicameral. Concurrence of both houses are required to pass any bill. However, the makers of the Constitution of India anticipated situations of deadlock between the upper house i.e. Rajya Sabha and the lower house i.e. Lok Sabha. Therefore, the Constitution of India provides for Joint sittings of both the Houses to break this deadlock. The joint sitting of the Parliament is called by the President and is presided over by the Speaker or, in his absence, by the Deputy Speaker of the Lok Sabha or in his absence, the Deputy-Chairman of the Rajya Sabha. The Chairman doesn't preside over the joint session at any means/cost. If any of the above officers are not present then any other member of the Parliament can preside by consensus of both the House. A member of parliament in Lok Sabha is the representative of the Indian people in the Lok Sabha; the lower house of the Parliament of India. Members of parliament of Lok Sabha are chosen by direct elections on the basis of the adult suffrage. Parliament of India is bicameral with two houses; Rajya Sabha and the Lok Sabha. The maximum permitted strength of members of parliament in the Lok Sabha is 552. This includes maximum 530 members to represent the constituencies and states, up to 20 members to represent the union territories and not more than two members of the Anglo-Indian community to be nominated by the President of India. The party—or coalition of parties—having a majority in the Lok Sabha chooses the Prime Minister of India. ↑ "Venkaiah Naidu sworn in as Vice-President". The Hindu. New Delhi, India. 11 August 2017. Archived from the original on 9 February 2014. 1 2 "RAJYA SABHA – AN INTRODUCTION". rajyasabha.nic.in. Archived from the original on 16 August 2011. ↑ "MEMBERS OF RAJYA SABHA (STATE WISE LIST)". Rajya Sabha. 18 July 2018. Archived from the original on 5 February 2014. ↑ Deshmukh, Yashwant (11 June 2016). "Crucial polls today: A guide to calculus of Rajya Sabha for dummies". Firstpost. Archived from the original on 19 June 2016. Retrieved 20 June 2016. ↑ "OUR PARLIAMENT". Indian Parliament. Archived from the original on 17 May 2011. Retrieved 11 May 2011. ↑ "Rajya Sabha MPs can now speak in 22 Indian languages in House". ↑ "Council of States (Rajya Sabha) – rajyasabha.in". Archived from the original on 18 June 2012. ↑ "HANDBOOK FOR RETURNING OFFICERS – FOR ELECTIONS TO THE COUNCIL OF STATES AND STATE LEGISLATIVE COUNCILS" (PDF). Election Commission of India. 1992. pp. 400–426. Archived (PDF) from the original on 10 January 2017. Retrieved 2 August 2017. ↑ "Website of the Rajya Sabha – Legislation". ↑ "642 Sidharth Chauhan, Bicameralism: comparative insights and lessons". Archived from the original on 18 May 2015. Retrieved 15 May 2015. ↑ "FREQUENTLY ASKED QUESTIONS ABOUT RAJYA SABHA". Indian Parliament. Archived from the original on 24 July 2013. Retrieved 8 December 2012. 1 2 3 "Composition of Rajya Sabha – Rajya Sabha At Work" (PDF). rajyasabha.nic.in. Rajya Sabha Secretariat, New Delhi. Archived from the original (PDF) on 5 March 2016. Retrieved 20 October 2015. 1 2 "Rajya Sabha members alloted [sic] to Telangana, Andhra Pradesh". The Economic Times. 30 May 2014. Archived from the original on 9 February 2014. Retrieved 21 October 2015. ↑ "STRENGTHWISE PARTY POSITION IN THE RAJYA SABHA". Rajya Sabha. 18 July 2018. Archived from the original on 6 June 2017. ↑ "About Rajya Sabha TV". Rajya Sabha. Archived from the original on 9 February 2014. Retrieved 19 May 2014. The Nominated Members of India's Council of States: A Study of Role-Definition J. H. Proctor, Legislative Studies Quarterly, Vol. 10, No. 1, Feb 1985, pp. 53–70. Alistair, McMillan. "Constitution 91st Amendment Bill: A Constitutional Fraud?". nuff.ox.ac.uk. Retrieved 19 May 2014.